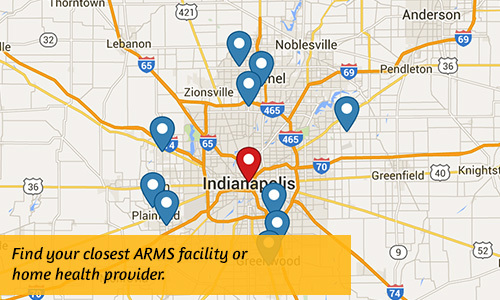 Whether it’s an orthopedic surgery or some other health event, you’re being discharged from the hospital. However, you aren’t quite ready to go home. Instead, you’ll be completing the next steps of your recovery journey in a nursing home for short-term rehabilitation. As if you don’t have enough on your mind, with all that your recovery entails, the last thing you should be worried about is who pays for this step. 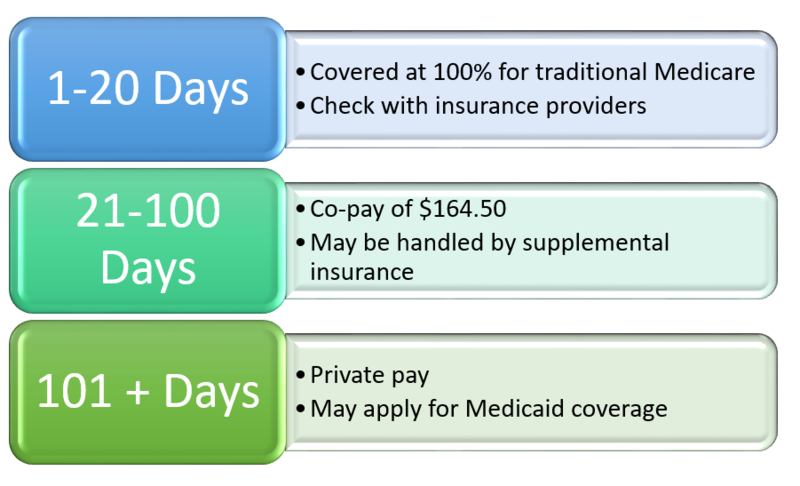 Under Medicare, should your recovery last longer than 20 days, you then become responsible for co-pay. While that amount is determined annually by CMS (the government agency that handles Medicare), the current co-pay amount is $164.50 per day. This co-pay either comes out of your pocket, or it may be handled through your Medicare supplemental insurance. The co-pay amount remains in place for days 21-100 of rehabilitation services. For any days beyond 100, you move to a private pay status, responsible for all costs. If that is not feasible, you can apply for Medicaid coverage. Fortunately, most rehab stays last 30 days or less. In addition to the costs of staying and receiving rehab services in a nursing home, you can expect physician charges that are separate from the facility charges. Typically, you will be seen in rehab less often than in the hospital. In fact, you may be seen only a few times during your stay, so these bills may be less than what you receive from hospital care. *What is a Qualifying Hospital Stay? All nights in the hospital are not the same. To become eligible for Medicare to pay for a rehab stay, a person must have 3 nights in the hospital as an INPATIENT. Time spent as an OBSERVATION patient does not count toward this 3 days. As a patient, it can be difficult to know if you are considered an inpatient or an observation patient because the bed you are in and the care you receive don’t necessarily change! If you want to know your status, ask your hospital case manager about this.